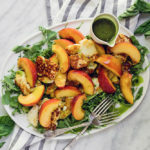 This pan-fried halloumi & peach salad on a bed of arugula is the summer salad I can’t get enough of. 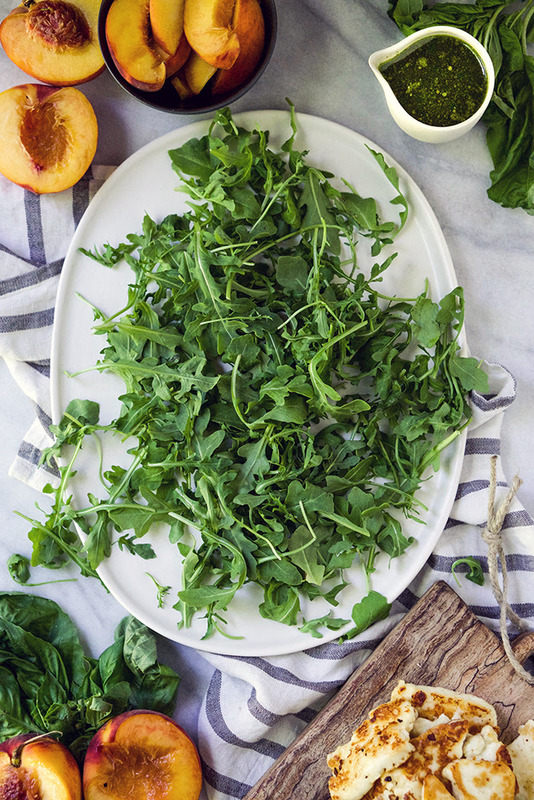 Topped with homemade basil oil for the most vibrant of flavors, I have no doubt you will love this salad. I’ve been working on some fun and easy summer dinner recipes, so when I had the chance to work with Wolf Gourmet products, specifically their 8.5” inch skillet and high-performance blender, I decided to create a delicious warm-weather salad. The 8.5” skillet is one of the most versatile pans in the kitchen, perfectly sized for preparation of smaller meals, side dishes and omelets. The flat bottom and flared sides allow food to slide out effortlessly onto the plate. Plus, it’s equipped with sturdy, ergonomic handles that fit a variety of hand sizes, making this high-performance cookware very comfortable to use. 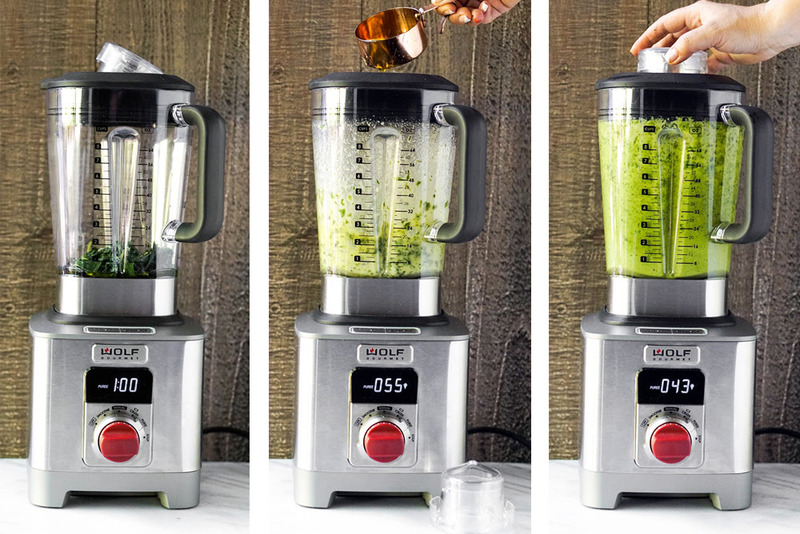 I love using my Wolf Gourmet blender to create homemade basil oil to top the salad. This recipe makes more oil than is needed, which is fine because you will want to put it on everything. One of the great features about this blender is the two-piece cap assembly, which includes an emulsion cup to add ingredients slowly into the blender jar. 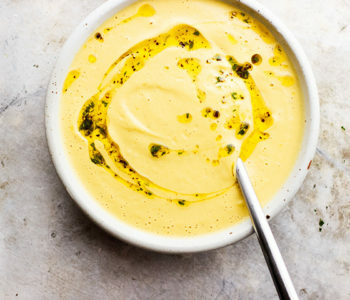 It’s easy to make fool-proof mayonnaise, dressings, marinades and more. The filler cap with measurement marks is convenient for cocktails. Mixing thick or frozen drinks is effortless with the included tamper. I use it to create delicious smoothies and the bonus: it’s so easy to clean afterwards. 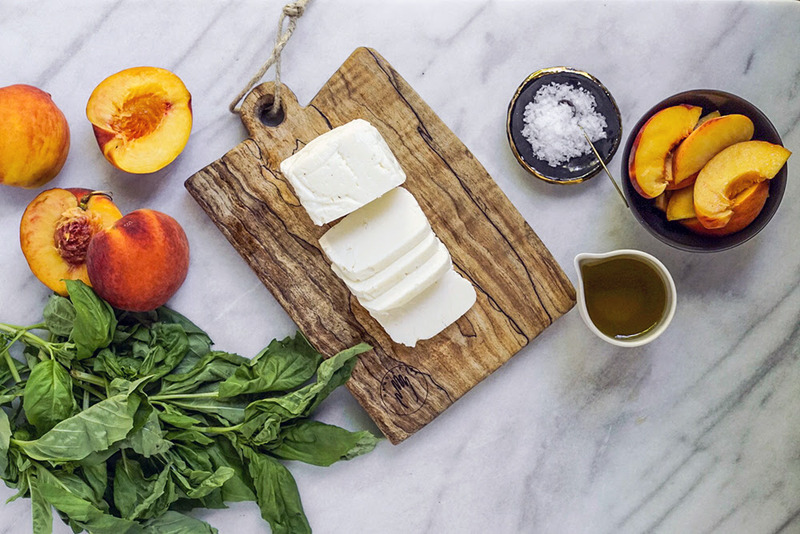 Halloumi and peaches pair so well. I love the fact that this salad is a little bit different. It’s loaded with a range of flavors from salty to sweet and makes a delicious option for a vegetarian dinner. The sweet juiciness of summer-ripe peaches is one of my favorite flavors. Pairing them with the saltiness of pan-fried halloumi and topping them off with basil oil creates the perfect summer dish. 1. Heat 1 tbsp olive oil in a skillet and add sliced halloumi. 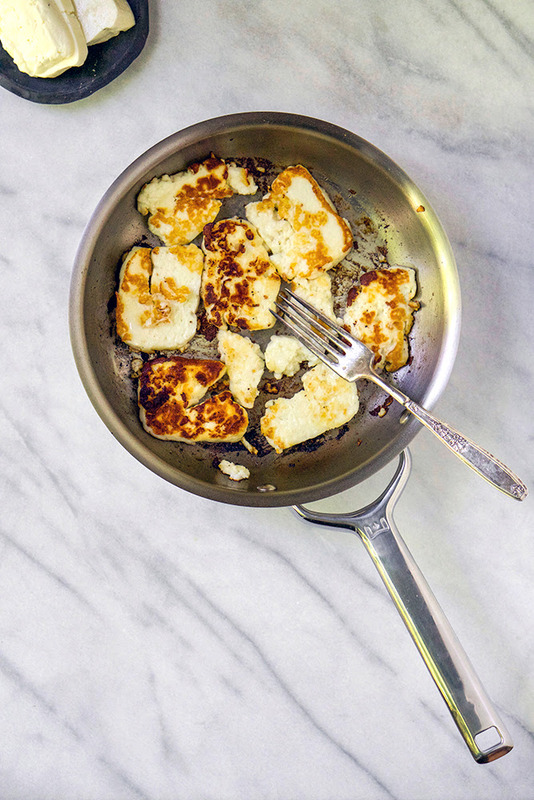 Fry halloumi until both sides are golden brown, about 2-3 minutes; set aside. 2. Slice peaches in half and twist to remove pit, cut into 4 equal wedges. 3. 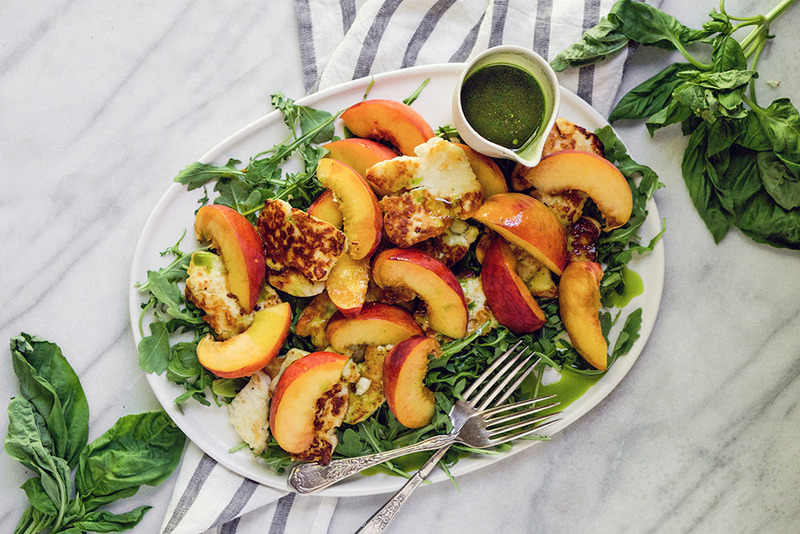 Arrange salad with arugula as the base, add in the peaches, halloumi and drizzle with oil. 1. Blanch the basil leaves in boiling water for 10 seconds. Transfer it to a bowl of cold water. 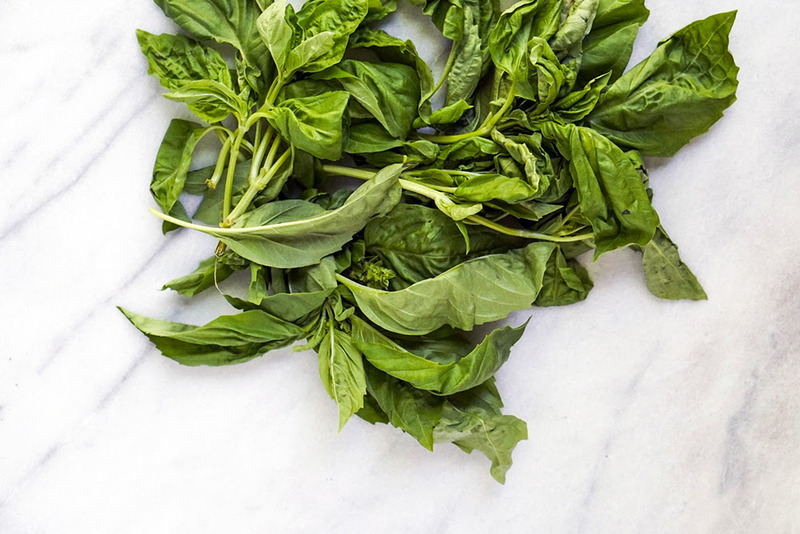 Drain the basil and pat dry with a paper towel. 2. Place in the Wolf Gourmet Blender. Add 1/2 cup olive oil. Blend for 15 seconds on high. 3. Remove the filler cap. Add the remaining 1 1/4 cups of oil to the blender and pulse to combine for an additional 45 seconds. Scrape down the sides if needed. 4. Strain in a cheese cloth or nut milk bag to get rid of any pulp. If you don't own either, a sturdy paper towel works too, just don't squeeze too hard. 5. Store the remaining oil in an airtight container in the refrigerator for up to a week. When ready to use again, leave on the counter to come to room temp. 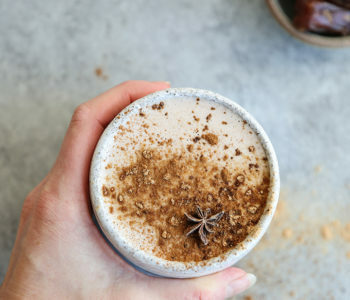 Lena is a chef, food stylist and photographer based in Portland, Oregon. 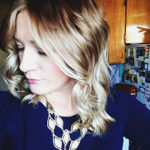 Her blog, Lena’s Kitchen, connects people and families through food and takes the time to enjoy it. Hi Lena, why do I have to put the blended basil leaves in the water? I am afraid it washes the essential oils out…. 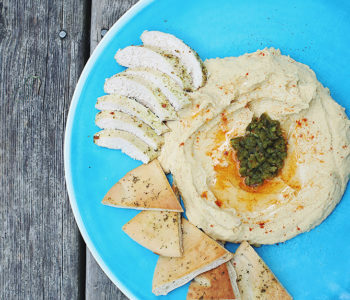 Recipe looks very good and I will try it! Oh sorry I misread …. of course cold water after blanching …. but why blanching ?